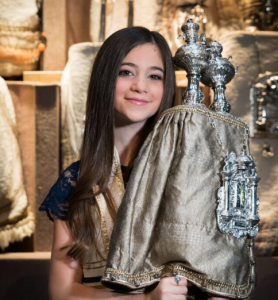 Through the process of becoming a Bar or Bat Mitzvah at Temple B’nai Abraham, we nurture knowledgeable young Jewish adults who will become active members of the community, and who will have a love of Judaism which will guide them throughout their lives. You will receive great joy watching your child learn, grow and then read from Torah on that special Shabbat as you share with your loved ones, friends and the congregational family. Focusing on the values that are most important in our tradition, you and your child will explore together what commitments we can make to bring these principles to life. Judaism has a lot of special wisdom to offer, but it is up to each of us to make it real. On this page we offer some guidance and tools to assist you in making this a loving and meaningful experience for the entire family. It is designed to provide you with the pertinent information on the procedures, tasks, schedules and participation integral to the Bar/Bat Mitzvah process and Shabbat morning services. Please do not hesitate to contact the Rabbi Kulwin, Cantor Epstein, Rabbi Faith Joy Dantowitz, or Melissa G. Weiner, Director of Jewish Learning with any questions or comments. We look forward to working with your son or daughter weekly to prepare for this special day. Please contact Cantor Epstein directly, at jepstein@tbanj.org or 973.994.2290, ext 262, with any questions regarding on-line scheduling. Please book only for the tutor to whom you have been assigned. What is my child expected to do? Each student will be prepared to chant the Torah and haftarah readings and lead a selection of Hebrew prayers. Students also prepare a d’var torah (a short discourse on their Torah portion). How many aliyot will my child have? Students will be prepared to read three aliyot. How does the tutoring process work? Tutoring takes place for either six months or eight months, depending upon the date of your child’s bar or bat mitzvah. Tuesday afternoon before the bat or bat mitzvah there is a complete run-through with the child (if a double, both children together) in the sanctuary. Friday morning before the bar or bat mitzvah from 9:45 AM to 11:15 AM there is a complete run-through with the child and parent(s). 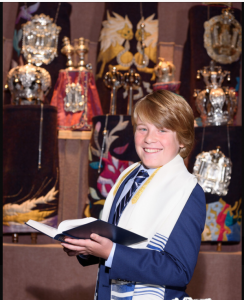 B’nai Mitzvah parents have special ushering responsibilities. Opportunities to sign up for specific dates will be offered via an e-mail from the Ushering Chair approximately one year before your date. If a conflict arises for a date selected, it is the parents’ responsibility to secure a substitute. There are two obligations for ushering: 1. The academic year before the year during which the bar/bat mitzvah will occur, all parents will usher for one full weekend (one Friday night and one Saturday morning service). This is usually in the 6th grade/Vav year. 2. During the year of the bar/bat mitzvah, parents have an obligation to usher again at one Saturday morning service. This is usually during the Makom class (7th grade) year. What will we do Friday Evening? The B’nai Mitzvah family —parents and children—will be invited to ascend the bima and join in the chanting of the Kiddush. What time do services begin on Saturday morning? Services begin at 10:00 A.M. Guests should be instructed to arrive by that time. Printing 9:45 A.M on your invitation is strongly encouraged. What do parents do? Customarily the parents are called to the bima for the first aliyah. 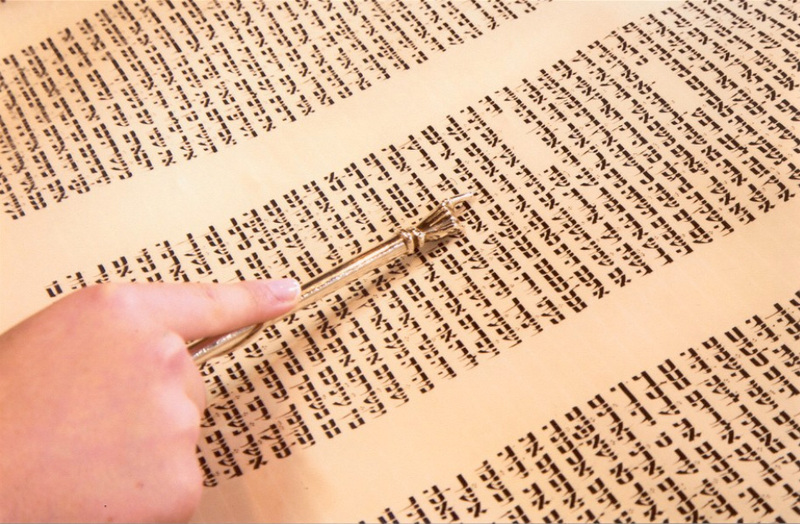 Parents must be prepared to chant the Torah blessings (Before and After) and say the shehecheyanu. You may use transliteration. What are the customs regarding tallitot and kippot (yarmulkes)? All males in the congregation cover their heads. Jewish men should wear a tallit. Tallitot and kippot are not required for females, but are encouraged for those for whom it would be meaningful. How can I honor other people? There are two aliyot besides parents, and in addition to those with an aliyah, the following are also honors: · Grandparent(s) (or someone of that generation) usually participate in the generational passing down of the Torah from the ark during the Torah service · One person as hagbah, the one who lifts the Torah · Two as gelilah, the ones who dress the Torah (only one may be a child) · Younger siblings of B’nai Mitzvah may also lead the congregation in Adon Olam at the end of the service You can find many resources on the right, including PDFs of the honors sheet, the blessings, and MP3 recordings.